The person which just one week ago was giving statements of attacking China and Pakistan and occupying Pakistan in few days is Exposed. His army is exposed by himself. 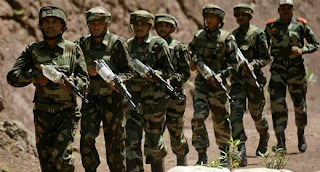 on 62th Army day Indian army Chief General Deepak Kapoor has said that Indian army don,t have the ability to fight in night. He was expressing his concerns about Indian army night blindness in the area of Armored Corps and mechanized infantry. Before it General Deepak Kapoor also admitted that Indian tanks has night vision capability of 20% only while Pakistan 80% and China 100%. India,s main battle tank is Arjun while Pakistan,s main Battle tank is Al Khalid which is far batter as compared to Arjun.